Amazon Web Services has started to build out support tooling for its Lambda-based serverless infrastructure. 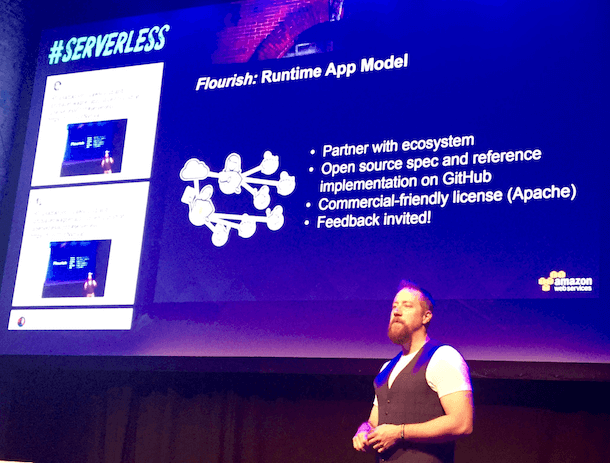 At ServerlessConf in Brooklyn Thursday, Tim Wagner, general manager of AWS Serverless Compute (which includes AWS Lambda, and Amazon API Gateway) announced Flourish, a new open source project aimed at creating a full serverless runtime application environment. “Flourish aims to grow a runtime app model similar to the way SwaggerHub does today for APIs,” Wagner said in his keynote. Requests can be scaled, so there is no over- or under-server capacity provisioning. Application providers don’t pay for idle computing power. The system is implicitly fault tolerant as it does not rely on managing machine servers. Language runtimes are open so developers can code in their preferred language. Metrics and logging become a universal right for which all app developers should have access. Wagner said that while this is the advantage, serverless applications then need to be built in a composable form that is beyond needing to manage one function. “What happens when you have built a single microservice that uses a number of APIs and makes use of hundreds of functions?” he asks. To enable this level of growth, Wagner says, code-first and design-first solutions have emerged. He pointed to the Serverless framework from AWS as a code-first example, and how SwaggerHub builds APIs as a design-first example. 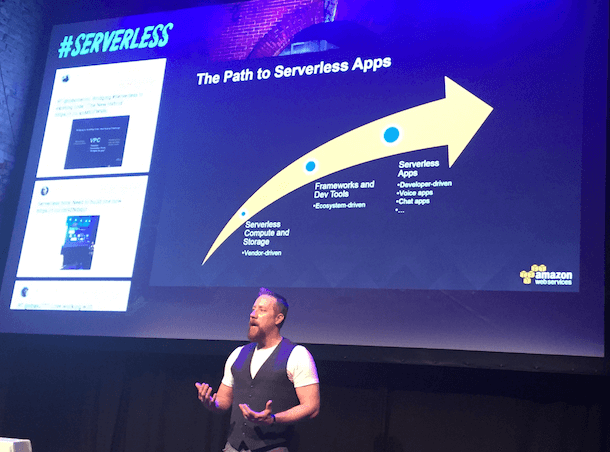 Wagner believes this is needed to evolve the serverless trend to a point where an ecosystem of developers are driving the creation of serverless apps, include chatbots and voice apps. 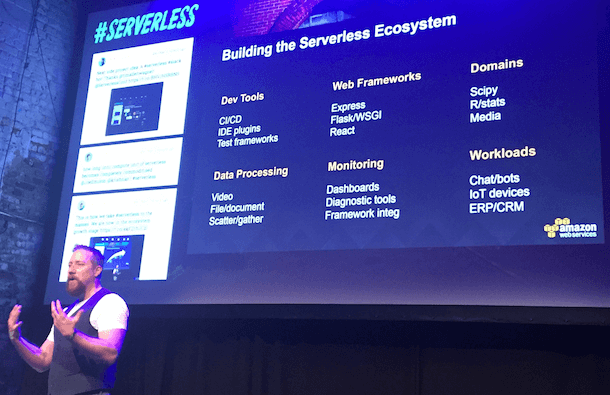 He documented a number of ecosystem tools that ill be needed to be created to help drive the uptake of the serverless application paradigm, including dev tools, frameworks, data processing, and monitoring, amongst others. Flourish will be open source, and will be launched as a project on GitHub in the coming weeks.